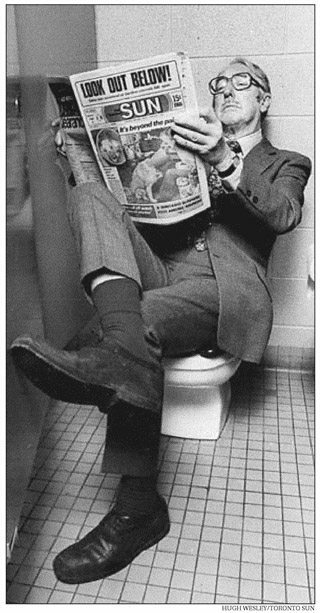 The tabloid's opinions haven't always stood the test of time. 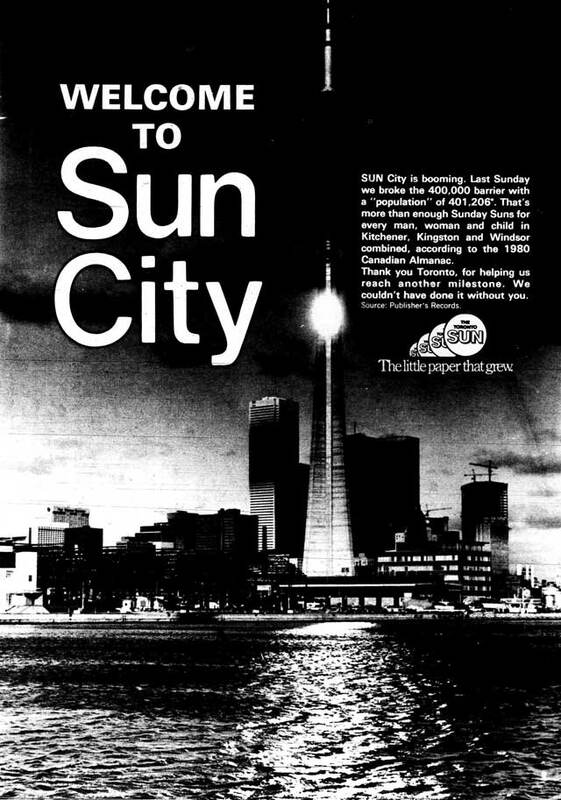 Advertisement, Toronto Sun, November 9, 1980. 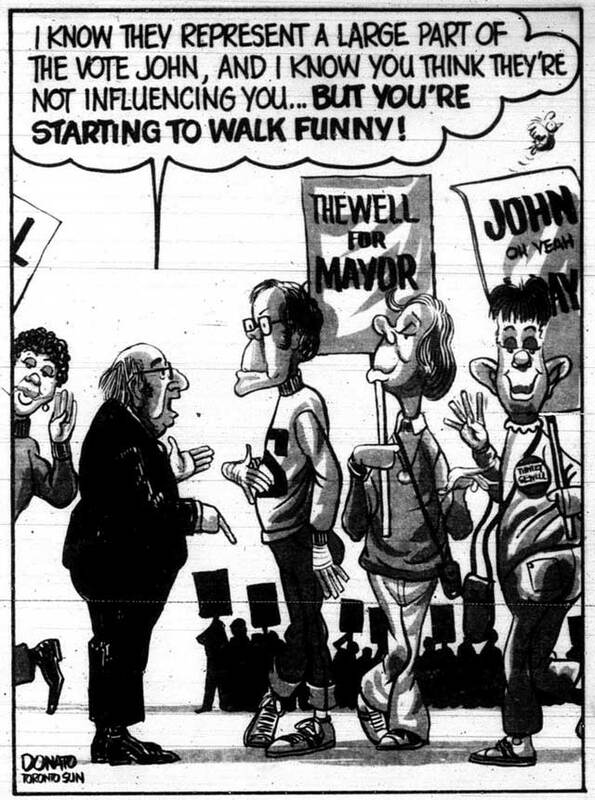 Hoy used his QP perch to step into the 1980 municipal election, a campaign the Sun had no shortage of homophobic commentary on in the wake of mayor John Sewell’s support of the community and George Hislop’s council run. 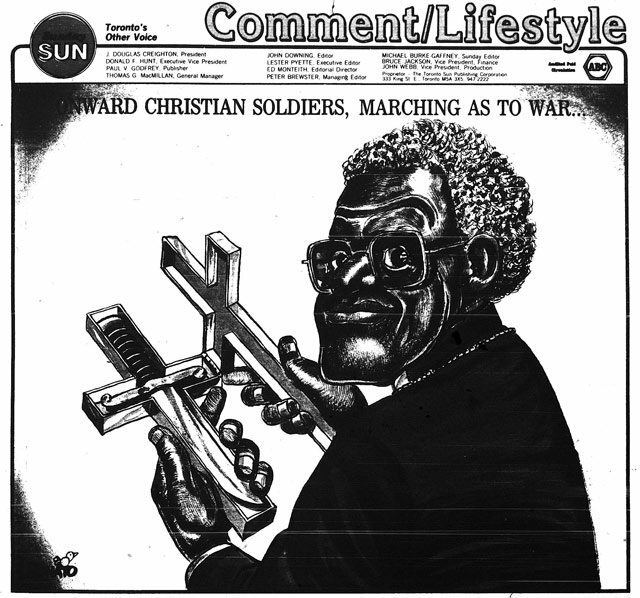 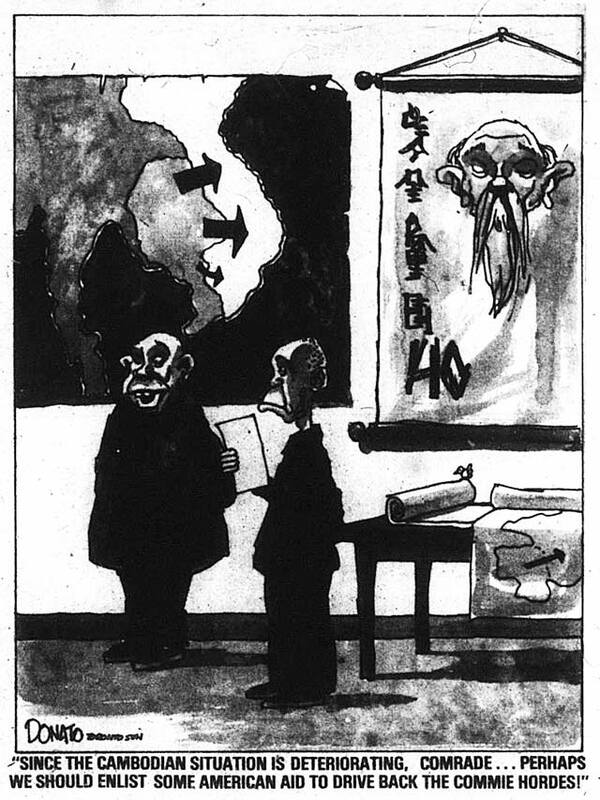 Following the Toronto Board of Education’s decision to allow a homosexual liaison committee to talk with students struggling with their own sexual identity, he listed all of the trustees who “voted to give homosexuals a beachhead.” He urged readers to register their indignation at the ballot box lest the radicals (who he referred to as “dingles”) win. 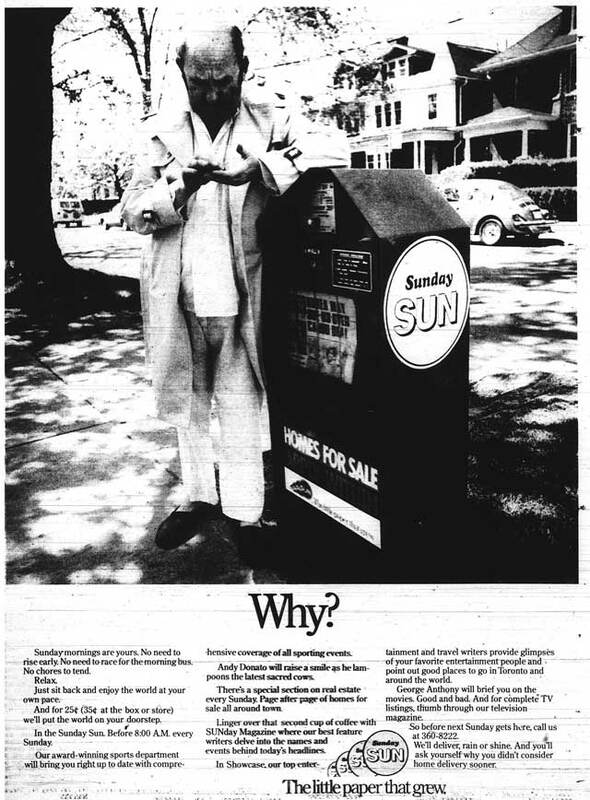 Advertisement, Toronto Sun, September 4, 1977.